I love the Holidays. Every day feels a little more special than the next as you get closer and closer to Thanksgiving and Christmas. 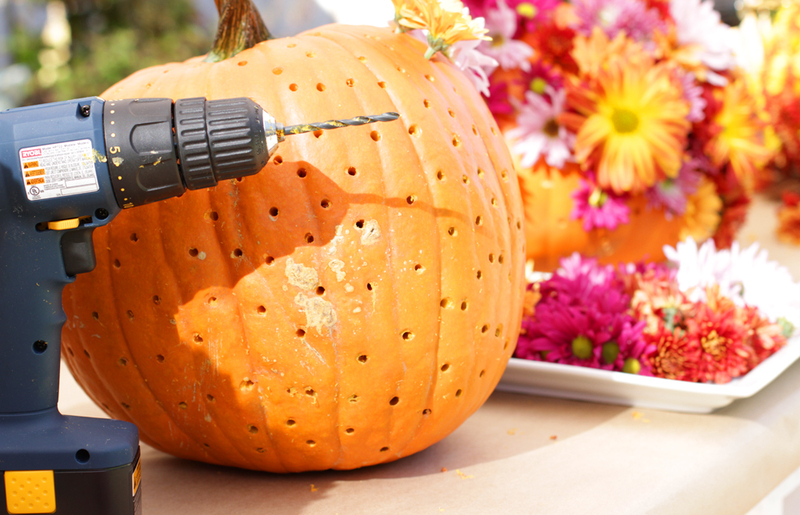 Today I made these gorgeous flower pumpkins on the Home and Family show on the Hallmark Channel (Weekdays 10am/9c). 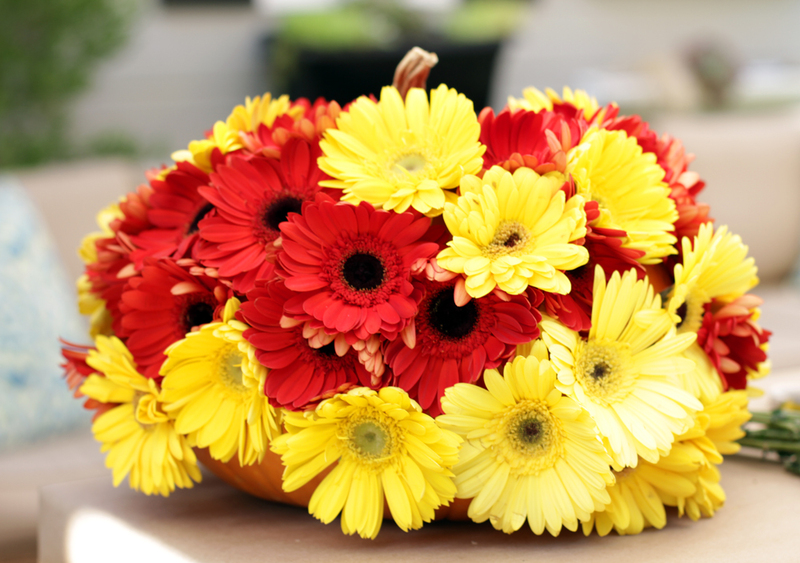 These would be pretty for Halloween but you could also use this idea for a fall flower arrangement or of course as a Thanksgiving centerpiece. I used real flowers and real pumpkins so this is a fresh flower arrangement that will last about 5 days. If you missed the show scroll down to see the tutorial! 1. Cut all your flowers so they have only a 3" stem. 2. 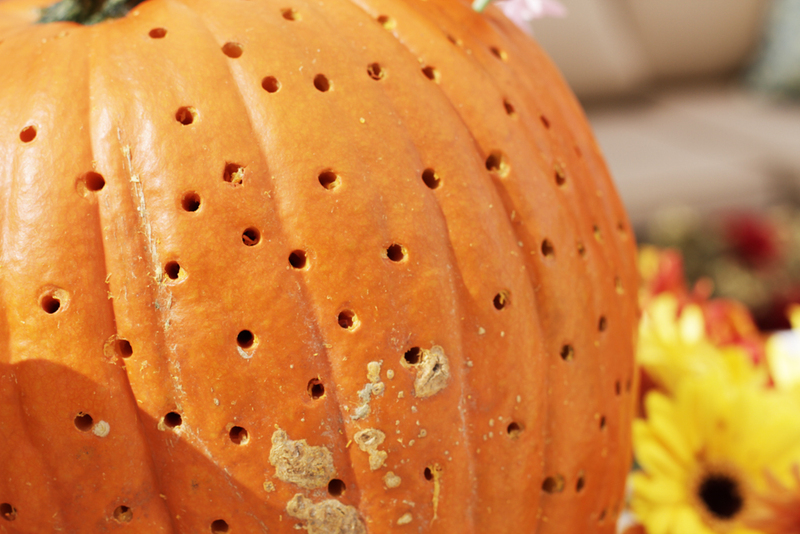 Drill holes into your pumpkin, about 1" apart and push your flower stems through the holes.